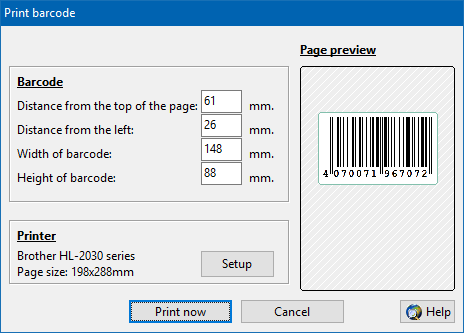 Here we show you how easy it is to print a barcode exactly onto a page. You can specify the barcodes position and size in millimeters. you have to print a barcode into a form. You enter this four values into the above shown dialog. Now press the "Print now" button. The barcode will be printed.